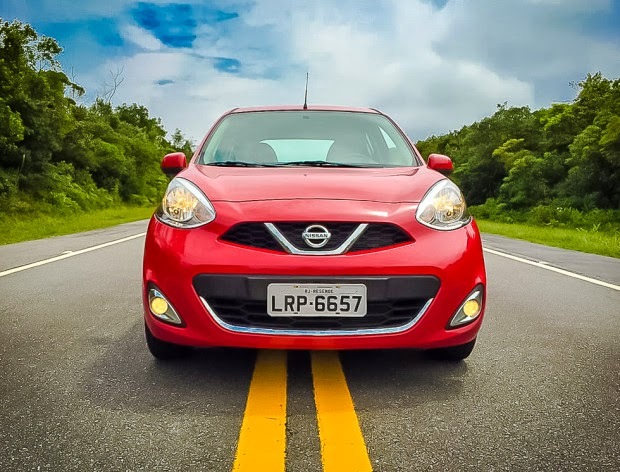 Test Nissan March 3 cylinders. 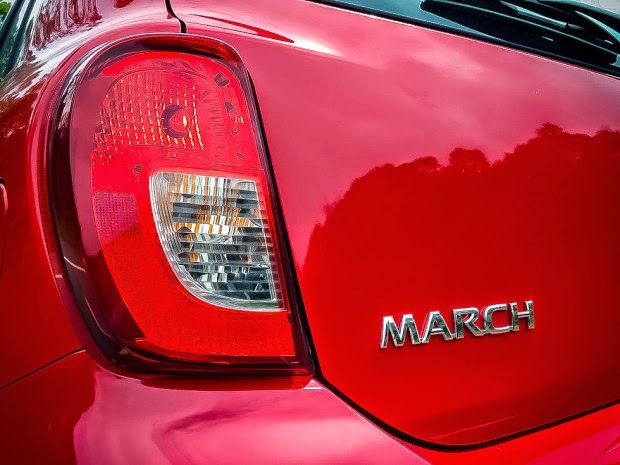 With a history of ups and downs in sales, March won several innovations in recent times. 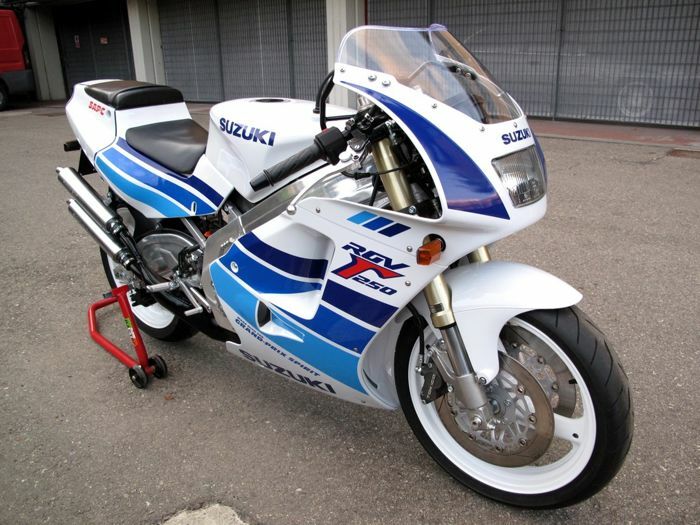 Changed the look, inaugurated the new Nissan's Resende (RJ) and to close yet received a new three-cylinder 1.0 engine. Despite all this ammunition, stand still sells less than most rivals. Given this, is it compact entry into the class of "3-cylinder" is enough to win back the world and brazilian consumer? 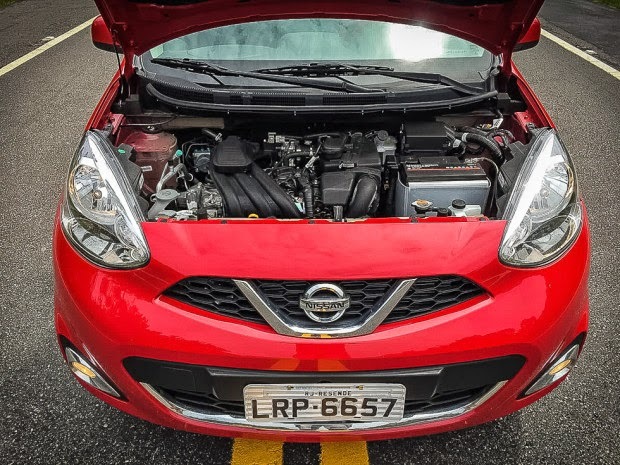 To replace the engine 1.0 16V four-cylinder (source Renault, also used in the Clio), Nissan brought a new derivative of 1.2 liter used in other markets. Made of aluminum (lighter and better heat dissipation) the new engine 1.0 liter 12V 77 hp and 10 Nm of torque is premised on the lower fuel consumption without loss of performance compared to the propellant with a cylinder more. Equipped with CVVTCS system (continuosly Variable Valve Timing Control System, or varying the valve timing through phase variator), which causes the admission of the air-fuel mixture in the cylinders is optimized in any rotation, the result is a good torque down, one of the stand highlights. If even the old was not going so badly in this respect, the new gives to drive without squeezing the accelerator pedal and even increases will not make anyone spend anger (provided it is not full). But only 77 hp? Yes, the little Nissan increased power (in the old were 74 hp), but now offers a flatter torque range. In practice the new engine is significantly more provisions, especially in the city, and superior performance in the range of 2,000 rpm to 4,000 rpm - range most used in normal driving. For those who do not like to keep changing gears all the time, can you pass most of the bumps in 3rd smoothly. Otherwise, stretch a little, there is a even fun ronquinho, typical of these new three-cylinder engines. And the best: the vibration level is very low, the best in class in this respect. The March maintains its suspension stiff as a board, but a still acceptable level to tackle bad floor. The electric power steering is very light in maneuvers and became more progressive as the speed increases, while the pedals are lightweight and well modulated. The exchange has precise couplings, though a little dry and noisy. In short, the March is easy to drive and maneuver and we also have excellent visibility. Despite being more focused on urban use, the March accompanies without dramas flow on the road. However, above 100 km / h performance difference from the old one does not notice. At least gives to travel at 120 km / h with more comfort, now the engine roar invades a little less cabin. With the fifth elongated gait compared to four-cylinder, turning this rotation decreased from 4000 to 3900 rpm. Owed only an improvement in the rest of the insulation to reduce wind noise and Shooting. 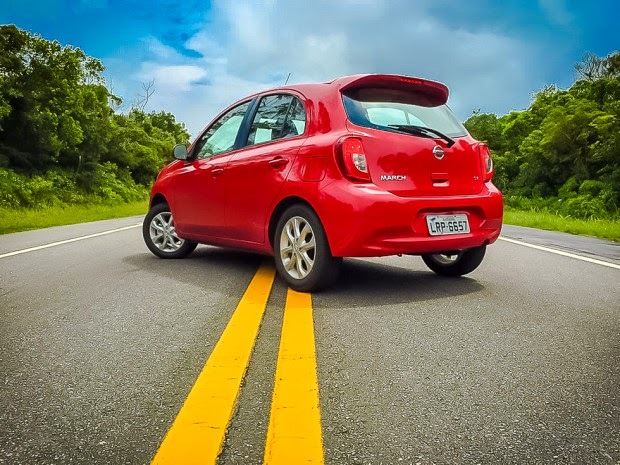 Although Nissan disclose the average consumption of 8.8 km / l in city and 10.3 km / l on the road with ethanol, in our test the japonesinho was more economical. In urban traffic scored 9.5 km / l, and on the road 13.7 km / l, with ethanol - brands that let well situated before the rivals with the same type of engine. For comparison, the March 1.0 four-cylinder had registered 8.7 km / l and 12.5 km / l under the same conditions. And still had the washboard gasoline cold start, replaced by FlexStart system Bosch (which heats ethanol) in the engine 3 cylinder. Already in the performance tests, the new 3-cylinder did not follow the pike 1.0 16V previous. Acceleration 0-100 km / h worsened from 14.5 s to 15.1 s, while the resumption 40-100 km / h was 14.1 s to 14.5 s ( see all the measurements in the table test at the end of the article ). As we said earlier, however, the answers were best in normal use, while in the old four-cylinder had to step on to the car take off. Finally, as the change in final weight was small (6 kg less now), the braking remained the same (good) before landing. With the restyling the March became more friendly and leave a little aside the look "nice" of the previous model. In the cabin, however, it follows as before: enough internal space for four & Adults and honest finish to an input car, but quite simple appearance. 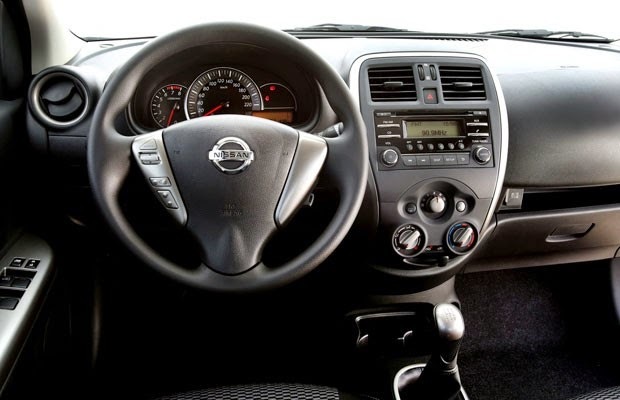 Harga Nissan March terjangkau,, kreditnya ringan.. mantep!